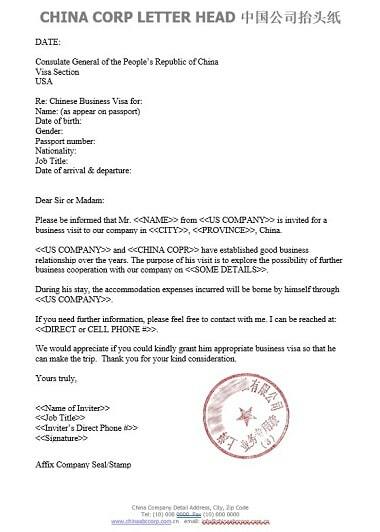 China Invitation Letter for Business Visa prepared by China registered company, authorised to invite business visitors to China. Invitation Letter for Single, Double or Multiple entry Business visa. The Invitation Letter is accepted by Chinese Consulates worldwide. To complete your application for a China Invitation Letter, please email us your Passport Biodata Information Page in digital format (JPEG or PNG format, less than 2mb). To Apply for your China Invitation Letter - Enter your information in the secure form below and select your Visa Type and preferred Processing time then click 'Add to Cart'. You will then return to the same page and you can enter another person's information in the same form or select a different visa. To remove an order or check your orders - click on 'View Cart'. Once you have completed all your visa applications, click on 'CHECKOUT' in the left navigation bar. Are you a Citizen of a Western country (eg. Australia, NZ, UK, Europe, US, Canada etc) ? Is this your first visit to China? Is your Passport Valid for at Least 6 Months from the date of arrival in China, with at least 2 blank pages? Do you need assistance in applying for your Chinese Visa? Yes - I need assistance in completing Forms, preparing supporting documents and lodging my visa application at the Chinese Consulate and collecting my Passport, with visa label. Home . About Us . Australian Visas . New Zealand Visas . UK Visas . United States Visas . EB5 Visa Program . EB5 Projects . Free Assessment . Online E-Visas . Cyprus Investment Programme . Malta Citizenship . Greece Residence Permit . Ireland Residency . Education Agent Service . 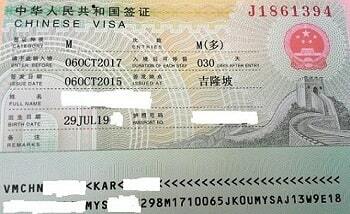 China Work Visa .Visaconnect's Blogs . Reviews of Visaconnect . Contact Us . Sitemap .